Learn How Perhentian Island Resort save from RM420k in 5 years for their office at level 26, Menara KH Jalan Sultan Ismail. The previous cooling capacity for the entire floor is 4 units of 200,000 Btu/hr Packaged DX. The previous total recorded monthly billing is RM12k for all entire electrical services for the level 26, Menara KH, Jalan Sultan Ismail. In May 2015, the renovation contract was awarded to Radical Network Sdn Bhd. Client want to have a new system with green technology. 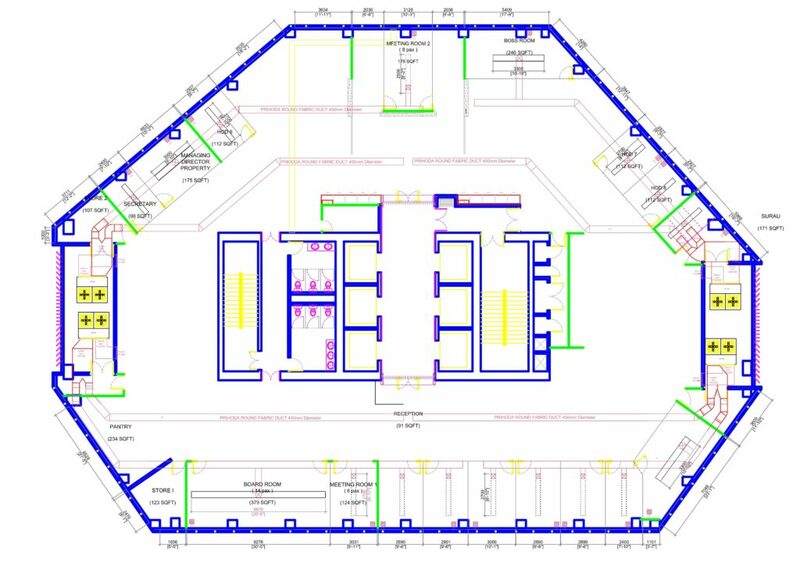 With the request, Prihoda Malaysia team study the entire floor layout so that it will suit with Fabric Ducting system. The old air-conditioning systems were already more than 15 years old definitely kill them for high electricity bills. The renovation mostly covering all the services including interior works & M&E works. After our team had done the heatload calculation for the floor, we proposed just to install 180,000 Btu/hr which is less 20,000 Btu/hr compared to the existing aircond system. The final design is Prihoda Fabric ducting system with light grey colour blend with yellow. The fabric duct system type is permeable fabric with microperforation and some part is small perforation and nozzle. 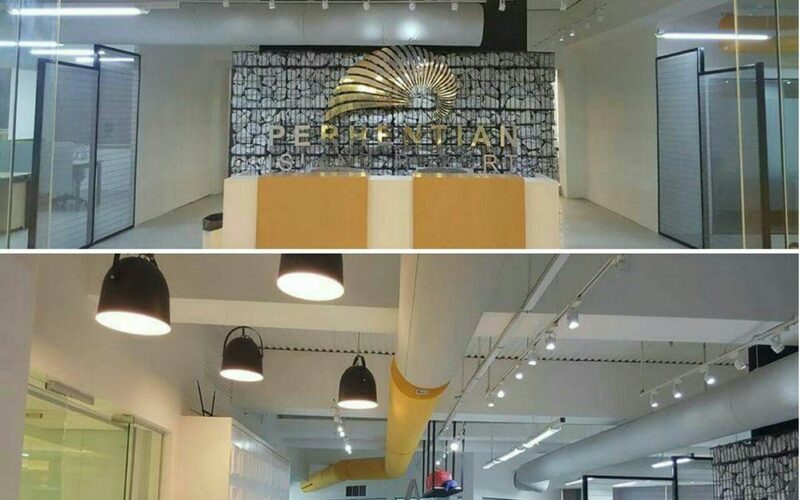 The fabric ducting system for office we can consider as a first in Malaysia since most of our projects we install at the big open space. After all the system have been installed, the temperature mapping was measured to ensure all the temperature space is evenly distributed. The setting temperature is 21 °C and the final result we get is 21+1 °C for the entire floor. This result was done with no major balancing works because all the fabric duct branches doesn’t have any dampers. This is very different with steel duct which required a lot of dampers. Now the final result of the electricity bills were revealed after the system was installed for more than a year. The recorded monthly bills is only about RM5,000! They save almost RM7,000 a month or 60%! In one year they had already save up to RM 84,000 & that means in 5 years they could save up to RM420k! Imagine for the entire tower there are 30 over floor if they still pay for the rm12k per month, actually they can save in 5 Years about RM12 millions. The total Air-Conditioning system with fabric duct investment is only about RM320k. Then they can easily reach ROI- return of investment within 3 years and 8 month. It is really an important matter for us to help more people to save energy. Most of our investigation case, the biggest wastage in energy for air conditioning system are from the distribution systems (Air Side). When the aircond systems are not properly distributing the cool air, then there will be a huge wastage in energy resulting to a big waste in electricity bills and initial cost as well. Hope this give an idea how to design your building.